The book has 12 chapters and includes topics such as "Fetal Alcohol Spectrum Disorders: An Overview", "Sensory Integration and Sensory Processing Disorders", "Pathophysiology of ADHD in Patients with ADHD and Fetal Alcohol Spectrum Disorders. The Role of Medication", "Identifying and Treating Social Communication Deficits in School-Age Children with Fetal Alcohol Spectrum Disorders", and "FASD and ADHD: The Nuts and Bolts of Diagnosis and Treatment in the Real World". 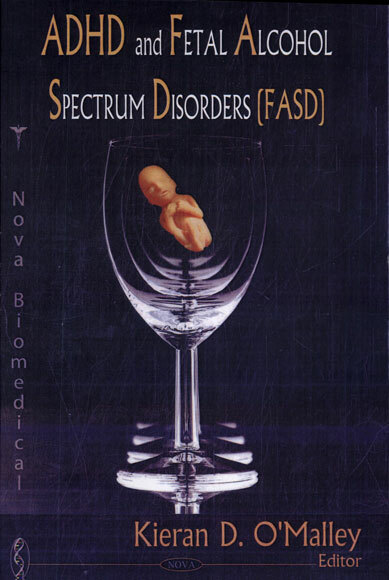 This multi-author book discusses the history and clinical presentation of Fetal Alcohol Spectrum Disorders(FASD) i.e Fetal Alcohol Syndrome (FAS) and Alcohol Related Neurodevelopmental Disorder (ARND). The book particularly addresses the co-occurring presence of ADHD in patients with FASD. The authors are all experienced professionals from a wide range of disciplines working throughout the USA and Canada.They have been involved in the diagnosis, research and management of FASD for many years and this book will bring their collective knowledge regarding management from infancy to adulthood to an inter-professional audience.